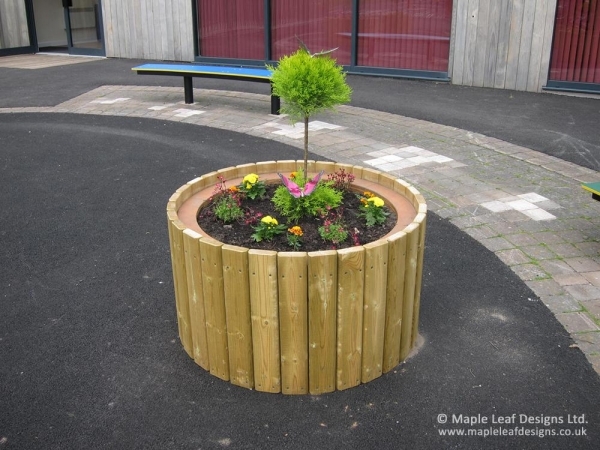 Our timber Circular Planters are an ideal way to bring greenery into your playground while keeping it neatly contained. The timber slat construction can be made to suit any size, and the base of the planter is open to allow for drainage and prevent rotting. All of our planters are installed with screened soil and can be planted if desired.